How To Reduce Arm Fat Fast? 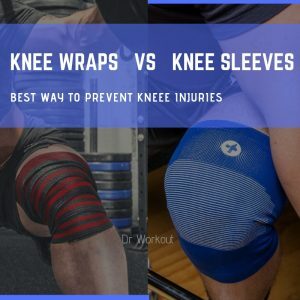 How to Lose Arm Fat in Gym? 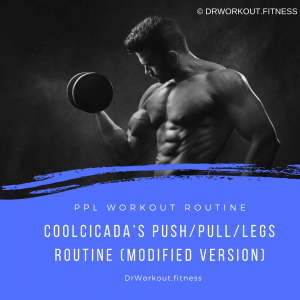 If you aren’t interested in gym training and little bit lazy then the first chapter is for you. However gym offers more equipments and classes that you probably don’t have at home. Also gym training can give you a sense of fitness community. If you are the one who decided to start training at the gym, then the second chapter is exactly for you. The third chapter is for Yoga believers. In the last chapter we will discuss about extra diet tips to lose arm fat fast. Note: If any trainer/website tells you that by buying their diet or workout routine, you can reduce your upper arm fat in 3 days or anything like that. Remember that is a lie and don’t let anybody to fool you. It will take at least 2-3 weeks to get a noticeable change. There is nothing going to happen in an overnight. If you are in such a condition you need to put real hard work for achieving you fitness goal. Flabby or fat arms can really ruin your image in public. Going sleeveless with fat upper arm is a challenging task. They are difficult to carry in a fit dress. 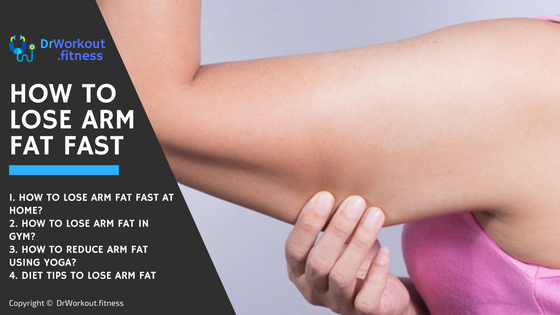 Arm fat is a common body complaint and it is the major confident killer. Here we are going to discuss about exercises that you can do without any weights. In order to increase the intensity of training you may increase the number of reps or sets. Exercises: You may pick any 7 exercise from the list given below. Everybody know push ups are great for chest and arms. As you progress you can do different kind of push ups. However they are quite difficult for newbies. So if you can’t execute at least 3 regular push ups I recommend you to go with inclined push ups. In inclined push ups you are placing yours arms at a higher level than floor. Because of this your lower body supports majority of your body weight. That is higher the platform, easier will be the push ups. In our scenario our goal is to reduce arm fat, so we need to focus more on triceps and biceps. After doing regular push ups you need to do diamond push ups for targeting triceps. Note: During push ups biceps act only as a stabilizing muscle at both ends of push ups. Since biceps is a pulling muscle we can’t target it with pushing movements. The advantage of starting with incline push ups is that it has very less intensity compared to regular and diamond push ups. Stand facing the elevated plat form (bench, steps etc.). Place arms on the edge of platform slightly wider than shoulder width. By keeping the body straight push your body until arms are completely extended. Come back to the starting position and repeat until you fail. Lie on the floor. Place your arms slightly wider than shoulder width. By keeping the body straight push your body until arms are completely extended. Come back to the starting position and repeat until you fail. At the top of regular pus ups your arms should be straight and perpendicular to the floor. First move into regular push-up position. Now position your arms in such a way that index fingers and thumbs touch together to form a diamond shape. Keeping the abs tight lower your body. Now push yourself to the starting position. It is an effective exercise to tone triceps muscles. First stand in front of a chair about 3 feet away from the chair. Now turn your back and place your hands shoulder width apart on the chair. Now slowly bend your elbow to lower your body towards floor. When your elbows are at 90 degree stop it and come back to the starting position. This is one rep. Now do 3 sets of 10 reps in each. The setup of this exercise is similar to chair dips. Just like in chair dips first stand steady in front of a chair about 3 feet away from the chair. Now turn your back and place your hands shoulder width apart on the chair. Extend your right arm and left leg in front of you. Now bend your left arm slowly, lower your body until your elbow is bent at a 90-degree angle. Squeeze your triceps and hold this position for a second. Now slowly straighten your arm and come back to starting position. This is one rep. Repeat it for 10 reps. Now switch the side and repeat. 4. Wrist Rotation: 1 min for clockwise direction and 1 min for anticlockwise direction. Stand straight and take bottles filled with water in each hand. Extend your arms. Now start rotating your wrists inward and outward. Continue it for one minute. 5. Arm Circles: 50 circles for clockwise direction and 50 circles for anticlockwise direction. Stand straight and extend your arms to sides. You can do this exercise with or without weights. You may hold water bottles for the increased effectiveness. Now, do 50 small circles with by rotating hands in the clock wise direction. Now switch to 50 small anti clock wise circles. Stand straight and stretch your arms to form a “V” shape. Now bring your arms to cross each other to form a “X” shape. Go back and forth between the “V” and “X”. Continue it for 3 minute. Begin in regular push-up position. Take a water bottle in right hand. Now raise the right hand parallel to the floor. Keep your core tight. Keep this pose for 5 seconds. Then slowly come back to the initial position. . Repeat the exercise by switching the weight to the left arm. This is one rep. Now do 3 sets of 10 reps. Hold your body with the help of knees and hands. Now raise your right hand parallel to the floor with fingers pointing forward. Simultaneously raise left leg and straighten it backward. Keep this position for 3 seconds. Now slowly come back to the starting position. Repeat it for the other side. This is one rep. Do 3 sets of 10 reps.
Jump rope is a great exercise for burning that excess fat in the arms. If you do this exercise regularly ultimately you will have a boxer like body. This exercise alone can improve your cardio vascular performance as well as your agility. In case of calorie burning Jump rope has an upper hand in comparison to jogging. Yes, Jump rope will burn more calories in short time. But it is very difficult to do jump rope 15 min straight. So it is better to do in intervals. For example 3min X 3 min X 3min with 2 min rest between sets. If you are searching for the one body weight exercise that alone strengthen and burn more arm fat, then this is the exercise for you. Compared to pull ups chin ups allow biceps to contribute more on movement and also it place lats on a better position. That is why chin ups are more easier than pull ups. Grip the bar with shoulder width apart and palms facing your body. Without any intro lets drive straight into the workout routine. Note: At first you need to include 2 days specifically for arms. 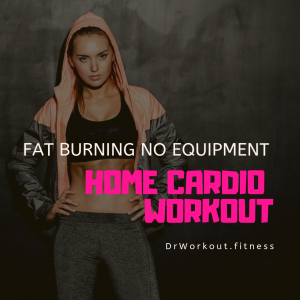 Also to lose fat one should do at least 180 min cardio per week. That is you should include a number of cardio sessions to your workout regimen. You may do six 30 min cardio sessions. If possible do the cardio sessions separately. Stand straight and hold the barbell or ez-bar at a shoulder width distance with palm facing forward. While keeping upper part of your arms steady curl the arms fully. Hold this position for an instant and then slowly come back to the starting position. Repeat till your set complete. Stand straight and hold the dumbbells with palms facing forward. Keep the elbow close to your body. By keeping the upper arm stationary curl one arm while keeping the other one in rest. Hold the fully contracted position for a second. Squeeze the biceps and then slowly bring it to the starting position. Now curl the other one similarly. This is one rep. Repeat for the recommended amount of repetitions. Stand straight and hold the dumbbells with palms facing your torso. Remaining steps are similar to dumbbell curls. To do preacher curls you need preacher bench and Ez-bar. Place your arms on the preacher bench while holding the Ez-bar. Stretch the arms fully. This is your starting position. Now curl the arms fully. Squeeze the biceps and hold this position for one second. Slowly bring the arms to starting position. Repeat for the recommended amount of repetitions. Stand straight and grab the cable bar attached to the low pulley with your palms facing forward. Keep the elbow close to torso. Now start curling. Repeat for the recommended amount of repetitions. This exercise is very similar to flat bench press. The only difference in this exercise is that here we are using close grip. Lie on the flat bench and set your feet on the floor. Grip on the bar at a shoulder width apart. Lift the bar from the rack. The reaming steps are similar to flat bench press. Load the Ez-bar with plates and take the ez-bar and lie on flat bench with your hands perpendicular to the bench. Set your feet on the floor. While keeping the upper arm steady bend the elbow and lower the ez-bar towards the forehead. Hold this position for an instant. Then slowly come back to the starting position. Squeeze the triceps now. This is one rep. Repeat for the recommended amount of reps. Stand straight or with a small inclination forward place hands on the flat cable bar attached to high pulley. Bring your upper arms close to the body and perpendicular to the floor. While keeping the upper arm steady pushdown untill the arms are fully stretched. Now squeeze the triceps and hold this position for an instant. Slowly come back to the starting position. This is one rep. Repeat for the recommended amount of reps. Stand straight but away from the machine. Step one foot forward for the balance. Grab the cable bar and extend the arms towards the ceiling. Keep the elbows tucked by your heads. Now slowly bring down the bar towards the floor. Then slowly come back to the starting position. Squeeze the triceps. This is one rep. Stand straight and with one of your hand hold the cable attached to high pulley. Now push down towards the floor. Squeeze the triceps. Then come back to the starting position. This is one rep. Repeat for the recommended amount of reps. Now do it for the other hand. Sit near the edge of a flat bench. Set your feet on the floor at a shoulder width apart. Now grab the barbell and place your hands on the upper thigh with palms facing upward. Now start curling wrists. Only the wrist should move. Repeat to failure. For an average weighing person one set of sun salutation can burn up to 13.90 calories. That is, within 15 minute you can burn 333.6. Within half hour you can burn more than 417 calories. Which is greater than 30 min running (7.5 mph). Dolphin pose is very similar to downward facing dog. Dolphin pose is very helpful in toning and strengthening both biceps and legs. It can stretch your shoulder and hamstring muscles. Dolphin pose also helps to relieve stress and mild depression. I addition to strengthening and toning arms, upward plank yoga pose also stretches the shoulder, front ankles and chest. Crow pose strengthens wrists, core muscles and forearms. This yoga pose lays foundation for arm balances. Here you will learn how to distribute the weight of your body so that you can balance on arms. Four-Limbed Staff Pose builds strength in the arms, wrists, lower and upper back muscles as well as the abs. Regular practice of Downward facing dog pose will help you to tone your body. This pose will strengthen arms, legs and core muscles. It will also help to weight loss and improve posture. The side plank pose strengthens arms, legs and abs. In addition to strengthening this yoga pose will give a good stretch to wrists and to back of the legs. It will also improve the overall balance. There are some variations of side plank pose that make this yoga pose even more challenging. Now we are moving to the fourth chapter. Here we are going to discuss about the diet modifications and few diet tips for achieving toned arms. Start by determining your maintenance calorie intake. Then figure out the calorie intake you will need to eat in a day to lose the targeted pound of fat. For your reference one pound of body fat may contain anywhere from 3436 to 3752 calories. You may use our calorie intake calculator to set your calorie intake goal. DrWorkout calorie intake calculator show you the recommended calorie intake whether you are looking to gain, lose or maintain your current weight. You can also check our BMI Calculator to find your body mass index. In each meal include one of the food that belongs to these colors. By doing that you will not have space on your plate for higher calorie foods. Also these fruits and veggies help your skin health. Generally the preferred water intake is 64 ounces. If you drink more water, it takes up the space in your stomach. That is ultimately you will feel fuller. According to a study published in British Journal of Nutrition adding hot spices in your food can curb your hunger. Also a study conducted by the scientists in the State University of Newyork at Buffalo found out that the content capsacin triggers your brain to release happiness hormones. A study conducted in the University of Texas Health Centerfound that the more diet soda you drink, greater the risk of becoming overweight. The hormone called Gherlin controls your hunger. It will get its peak after about 3 to 4 hours of fasting. So a good way to overcome over eating habit is divide your meals and eat small meals about every 3 hours. A study conducted on 900 adults found that when people ate more carbs, protein and fat in the morning, they stayed satisfied and ate less over the course of the day than their counterparts. 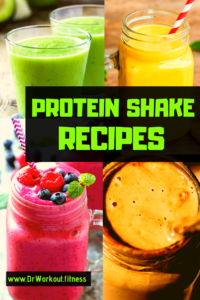 Protein rich foods will help you to tone your muscles. 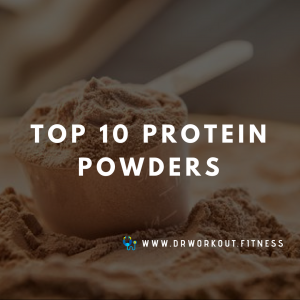 They will also help you too boost your metabolism. As a result you will burn few more calories. Another reason for including protein rich food in diet to lose arm fat is that, they will stay on your stomach for long time. That will make you feel satisfied with your meal. A study conducted by the scientists in University of Pennsylvania found that even just a few nights of sleep deprivation can leads to immediate weight gain. Share the love… if you found this article helpful, kindly share it with you friends. It will help us a lot. What tactics do you use for burning arm fat? What strategies did you employ that I didn’t mention in this guide to lose arm fat? Comment below.